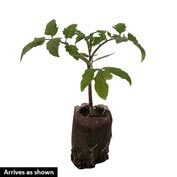 Brandywine Tomato | Gurney's Seed & Nursery Co. Winner of countless taste tests. 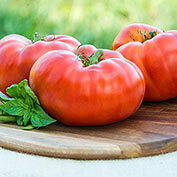 Heavy producer of big, boat-shaped, beefsteak fruits. 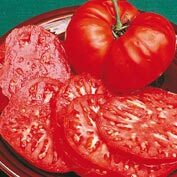 Tempting pink-red color, 1- to 1 1/2-lb. size and rich, creamy aftertaste. Indeterminate. 90 DAYS. Comments: Indeterminate. Extremely productive. Good 'old time' tomato flavor. 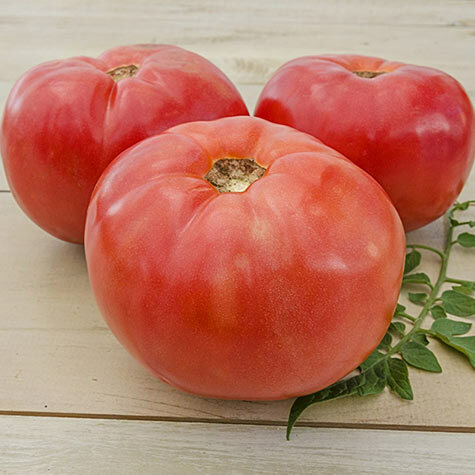 Open pollinated, heirloom variety. Amish variety heralded for best taste since 1885!